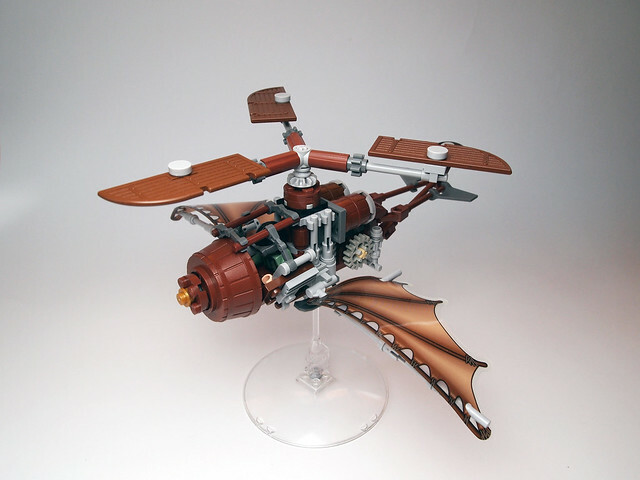 It's been a while since we've had a good dose of steampunk here on BrickNerd. Luckily this excellent little gyrocopter by Dwalin Forkbeard came along. I've seen the ewok hang glider wings used before but they are particularly effective on this MOC, and the mechanical doohickyness of this bird is brilliant.